Home > Notions > Pins/Clips > UNIQUE QUILTING #1-10 Numbered Marking Pins - 43mm - 100 pcs. 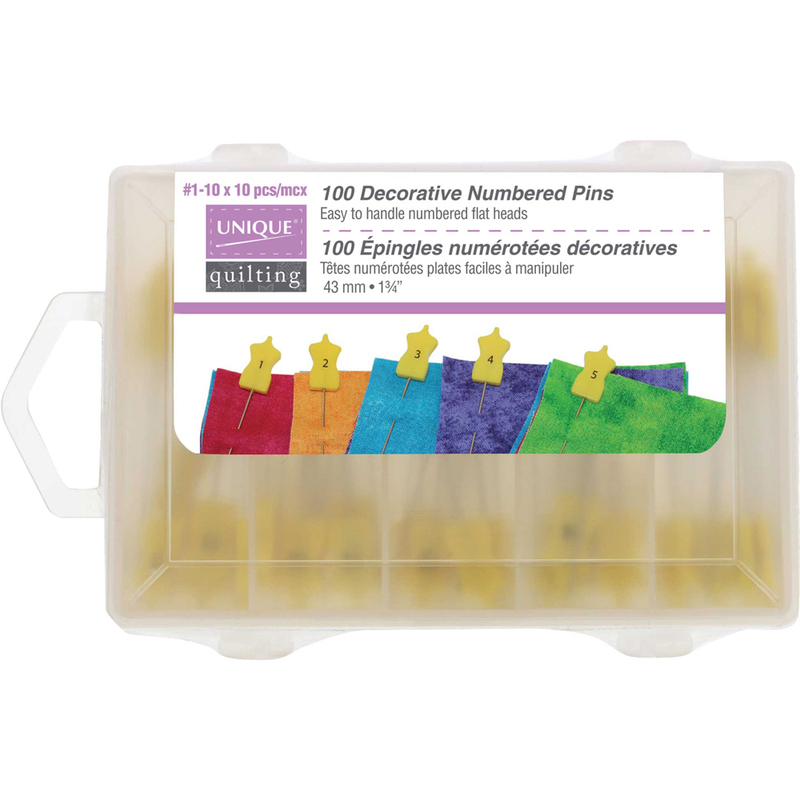 UNIQUE QUILTING #1-10 Numbered Marking Pins - 43mm - 100 pcs. #1-10 x 10 pcs. Perfect solution for organizing quilt blocks, rows and columns when order is important for the design. In high quality flat head pins to keep your sewing and crafting project organized. Allow customization with marker to add more numbers or letters if desired. Fine, sharp point and extra-long 43mm (13⁄4") pins.